Don’t buy things that will quickly become trash or are likely to become clutter. Give gifts that will uplift the home or business of your loved one. Consider the other person’s taste, rather than your own. Do not use credit to gift to others. Use credit for a gift you get for yourself only if it will enable you to make more money. Give the recipient the freedom to return your gift and get something they really want. 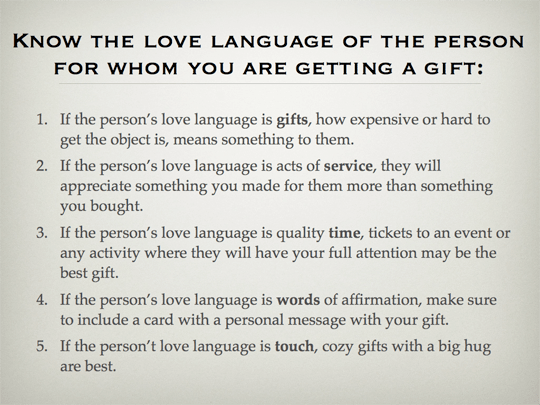 Know the love language of the person for whom you are getting a gift (words, touch, gifts, time, service). 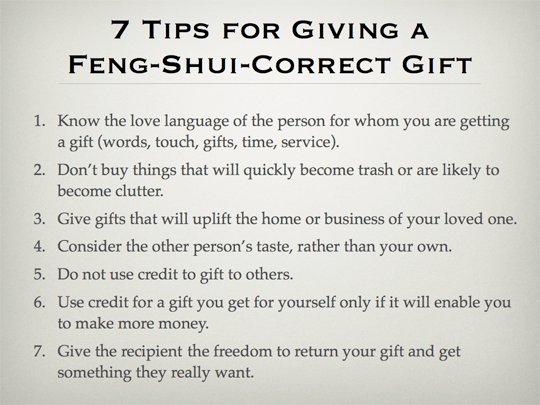 If the person’s love language is gifts, how expensive or hard to get the object is, means something to them. If the person’s love language is acts of service, they will appreciate something you made for them more than something you bought. If the person’s love language is quality time, tickets to an event or any activity where they will have your full attention may be the best gift. If the person’s love language is words of affirmation, make sure to include a card with a personal message with your gift. If the person’t love language is touch, cozy gifts with a big hug are best. I was curious to know why. I’ve known many people that do it because in their mind is the only way possible to make their family happy. In my profession we talk a lot about going into credit debt, specially during the holidays, it cough my attention when I read it. Good question! Credit is not considered Feng-Shui correct unless it is used to produce more money. 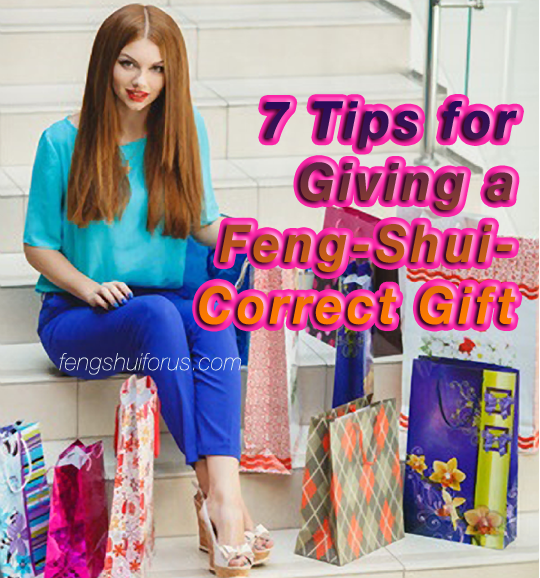 Check out this article: http://www.ninestepstofengshui.com/blog/2015/10/04/is-credit-feng-shui-correct/ Many people have the whole year to plan and save for holiday gifts, yet instead they wait until the end of the year, use credit, over spend (people spend on average 18% more if they used a card compared to cash or check), and end up paying interest. If anyone reading this used credit to buy Christmas gifts this year, I would entreat them to change things for next year, by starting a Christmas budget in January! Someone else has asked about using credit cards to buy gifts for their loved ones, in order to get the cash back, or get airline miles. This is OK to do, from the Feng Shui viewpoint, as long as you have the money in the bank, and pay the card right away.